Despite what most people think, business travel was never designed to be enjoyable! Travellers find themselves rushing from airport, to taxi to meeting to hotel, an overnight stay and then you have to do the same thing all over again the next day in reverse. Before you know it, your back at your desk in the office, having visited a city but not seen any attractions or culture. In 2014, Skift published a report on Bleisure and since then the term “Bleisure” has been a hot topic for businesses and the business traveller. At the time as many as 83% of respondents said they used time while away on business trips to explore and enjoy the city they are visiting – it was a real eye opener for businesses and it has since become clear that bleisure trips will continue to grow. 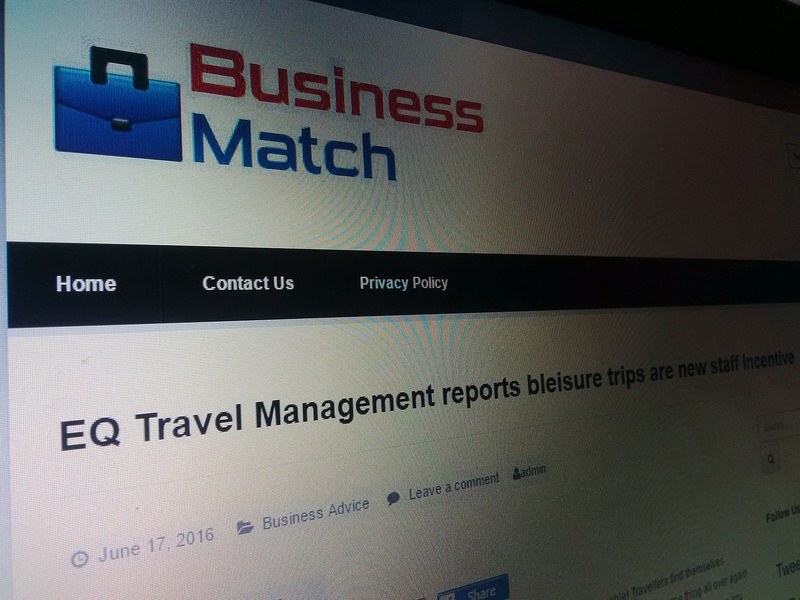 Travel Management Companies are seeing increasing amounts of clients extending their trips and bleisure is fast becoming a way of life for the business traveller. Many see extending their work trips as a perk of the job. The flip side is leisure travellers continue to work while on holiday (when was the last time you left your work mobile at home while on holiday). Franc Jeffrey from EQ Travel Management commented “We find that when a business trip is extended with family or friends, the burden of travel is lessened and can make employees more willing to travel in the first place. We also have clients advising us that bleisure trips can be advantageous to the company as a whole, with staff gaining better knowledge of a city and its culture being good for business. With all this in mind, it’s evident that bleisure travel is very much becoming part of the business travel world, but how is it managed? Many SME’s corporate travel policies don’t allow for grey areas such as bleisure. The biggest questions are – who pays for the extra nights’ hotel accommodation and the flights home? This all goes back to having a clear and concise travel policy and making sure it covers bleisure activity, otherwise extending business trips for bleisure would have to be decided by management on a case by case basis and you run into the danger of a member of staff feeling aggrieved that their bleisure trip isn’t paid for while another member of staff is. First of all – if your staff are on business they would have to fly home anyway, so we would always advise that travel policies state the flights home are paid for by the business, as long as there is no substantial increase in price. The accommodation costs are usually the main issue, however we find these are usually negated by cheaper “off peak” weekend flights ie flights on a Friday night busy business routes, usually come at a premium, whereas on a Sunday afternoon they these flights are cheaper, most businesses are happy to offset this cost on the extra hotel nights’ hotel accommodation cost. Staff are increasingly expected to work harder and travel more. If you can create solutions that allows them to play hard at the same time it can add to the work life balance motivating them and in turn make them happier and more productive, which of course helps the bottom line.